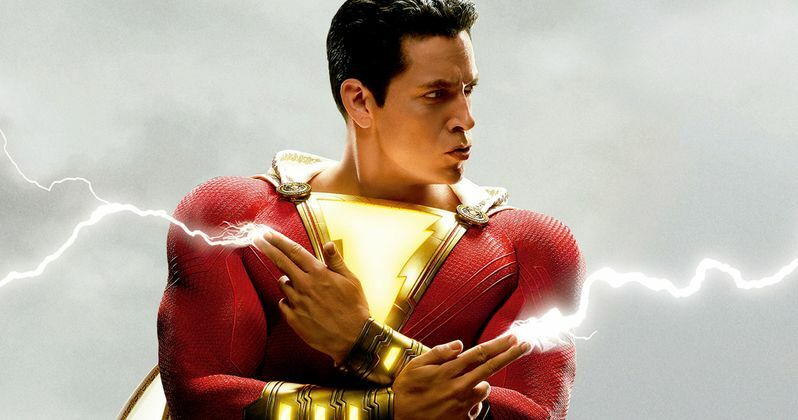 The Pet Sematary remake has also been getting positive reactions (though it received a C+ from CinemaScore), but it was still no match for Shazam! The R-rated horror movie was able to dig up $25 million this weekend, which is the second highest opening for a Stephen King adaptation behind Andres Muschietti's IT ($123.4 million). Overseas, the movie was able to scare up another $17.5 million, making for a grand total of $42.5 million globally. Disney's live-action remake of Dumbo fell to number three this weekend having earned $18.2 million. While Tim Burton's take on the movie has been receiving mixed reviews since its debut last weekend and could spell trouble for the rest of Disney's upcoming remakes this summer. Jordan Peele's Us fell to number four this weekend, having brought in $13.8 million. While the horror movie has been receiving generally positive reviews, it is still trying to get away from Get Out comparisons and critiques about the ending of the movie. Marvel Studios' Captain Marvel rounded out the top five this weekend with another $12.6 million. The movie recently passed the $1 billion mark at the global box office and stars Brie Larson and Samuel L. Jackson have been celebrating the milestone on social media. Drama The Best of Enemies made its box office debut over the weekend with a $4.5 opening, which was enough to take the sixth spot. The movie stars Taraji P. Henson and Sam Rockwell as a black civil rights activist and a Ku Klux Klan leader, respectively and is based on a true story. Teen drama Five Feet Apart took in $3.7 million this weekend, which was enough to earn the seventh spot. Controversial anti-abortion movie Unplanned was able to take the eighth spot this weekend after earning an additional $3.2 million. So far, the movie has made over $12 million and is far exceeding early predictions. Animated family movies Wonder Park and How to Train Your Dragon: The Hidden World rounded out the top ten with $2 million and $1.9 million, respectively. You can check out the rest of this weekend's numbers over at Box Office Mojo.